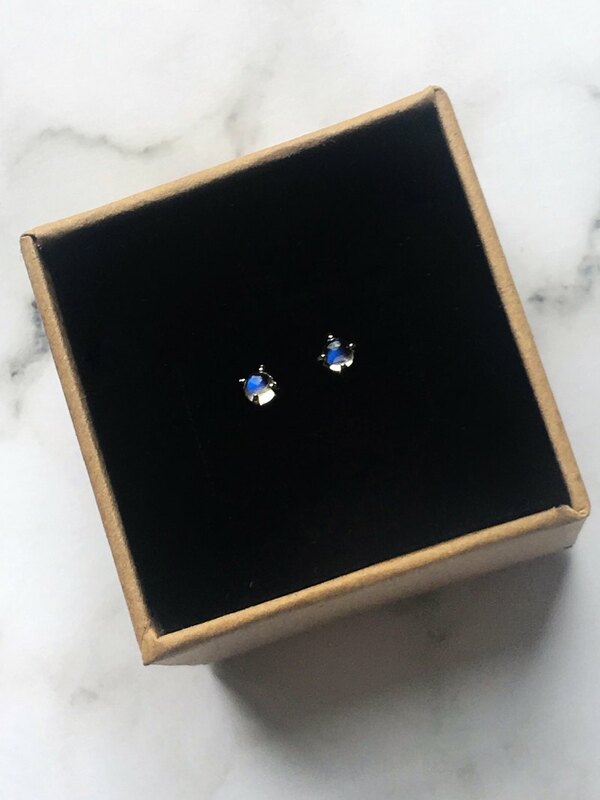 Product Description: Natural Sri Lankan Pure Body Blu Ray Moonstone Prong-set design earrings in sterling silver The Stone of Lovers emits a blue glow Attract the most beautiful love Commodity includes: Moonstone 925 sterling silver earrings , earrings, silver cloth, kraft paper bags Remarks: 1. Moonstone is a natural gemstone with natural texture and ice crack 2. Can be changed to clip (transparent painless U-shaped ear clip) Earring size: 4*4mm Bare stone size: about 3.5mm in diameter Maintenance method: 1. Nepalese silverware will be slightly higher in purity than 925 silver. If the silverware is oxidized and blackened, it can be brightened by wiping with a silver cloth. 2. Natural stone can be gently wiped with a cotton pad Moonstone effect: 1. A gem that attracts love. It exudes a romantic atmosphere and is the best token of sentiment. Can make feelings blend again and attract partners. 2. Reconcile personality and stabilize emotions. 3. The role of moonstone in the role of sleep aids because the moonstone energy is soft. Putting the moonstone under the pillow can help people sleep peacefully, have a good night's sleep, and get a full rest. 4. Fresh thinking helps brain thinking, psychic, and helps clear thinking.